Are you looking for a complete programe and the ability to spend more than a few weeks in Bali? Check out our incredible special offers and packages below. We have designed these packages with your diving education and employment in the dive industry in mind. 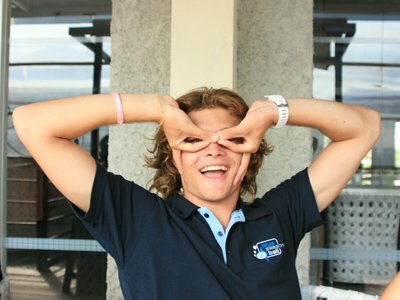 Our internship packages cater to all levels of professional and non professional diving internships. If you are looking to grow your professional experience, or if you are not yet a PADI pro - we have a package just for you. These special packages include savings and special offers! Have a look at what we currently have on offer and get in touch with us if there is something that interests you or if you are perhaps looking for something more tailored to your needs. Combine our two month Divemaster Course with your 28 Day IDC and receive an EXTRA month of Divemaster Experience to really prepare you for the PADI IDC. Never dived before and want to go pro? 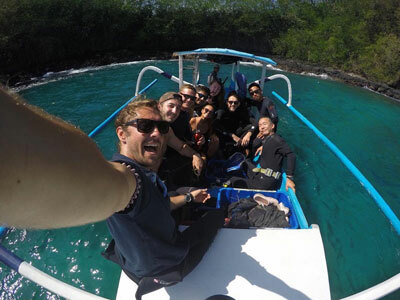 Check out our great 2 months internship that will turn you into a confident dive pro! Ready to become an instructor but want a bit of help to get started? Complete the 28 days IDC and then stay with our team for 2 months to team teach and get your first certifications. Take advantage of a great package deal on two of the most popular PADI Specialties: Deep and Nitrox! 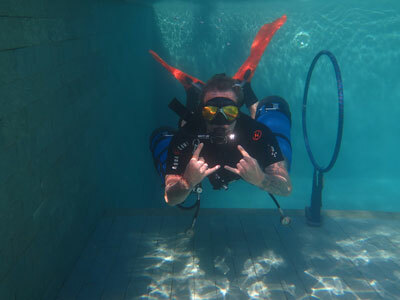 Why dive with one tank on your back when you can get more flexibility and comfort by diving sidemount? Our 3 days specialty course will give you ample practice time too! A package of PADI Specialties designed to give you a taste of Tech Diving: Sidemount, Gas Blender, Nitrox, Equipment and Deep Diver. All packed in a week of fun! Have you already decided that diving is where your life is headed? But you're not yet certified? Sign up for this incredible 7 month package and change your life and your career today! 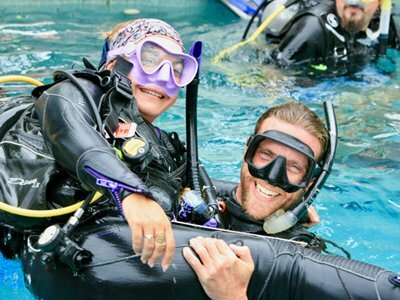 This package combines a month of Divemaster Experience with your 28 Day IDC followed by a month of teaching experience with our experienced PADI Instructors. 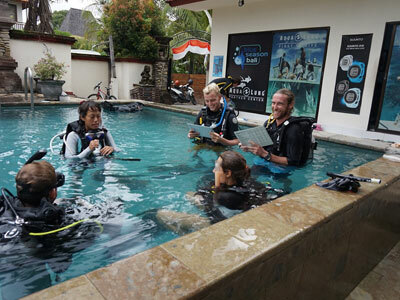 This complete package is the perfect package for those who need to brush up before the PADI IDC in Bali. Not ready to Go Pro yet? 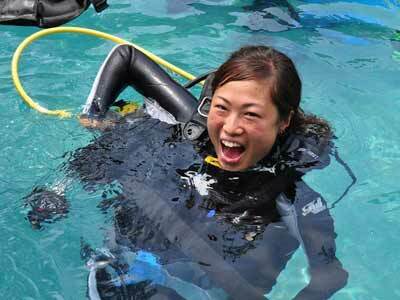 No worries, check out our 1 month Master Scuba Diver packages. Ready to sign up for your PADI Internship today? There are many places to do a PADI Scuba Diving Internship, but what makes us stand out from the rest? 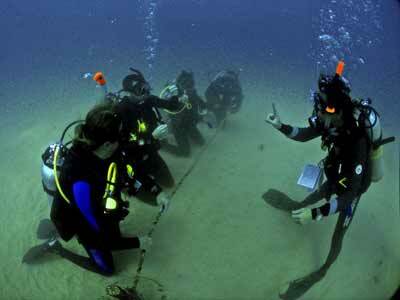 Full range of PADI Courses – from Open Water Diver to Master Instructor. Flexible start dates and great all-inclusive pricing. The diving in Bali is pretty spectacular! Small groups and personal attention. 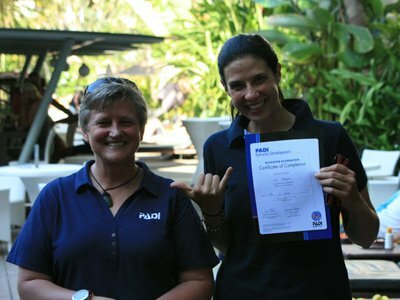 Incredible professional team - including onsite PADI Course Directors, Master Instructors and IDC Staff Instructors. 100% safety record with over 16 years in the diving industry! Your Open Water certification must be dated minimum 6 months prior to the start of your IDC. You need 100 logged dives to become an instructor. 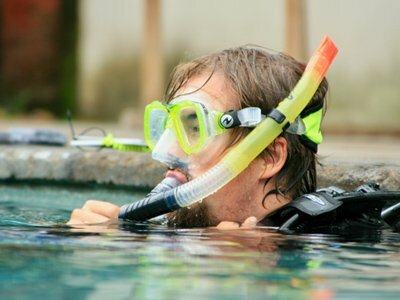 You must be a PADI Divemaster (or equivalent). You will need a dive medical signed by a physician. Enriched Air Diver certification required for Enriched Air Instructor training.